An administrative law judge ruled in favor of the Paterson school district in its bussing dispute with the Passaic County Technical Institute (PCTI). Kimberly A. Moss rendered the decision on Feb. 28. Her ruling narrowly focused on a state law that requires school districts to provide transportation to high school students residing 2.5 miles from school. “Any other reading would lead to results where a student who lived next door or across the street from PCTI would have to be transported to PCTI,” wrote Moss in her 12-page decision. Her decision made no mention of the Passaic County Technical Institute’s argument that the two roadways to the school are dangerous and jeopardize the safety of students. For example, the roadways, Preakness Avenue and Central Avenue, lack sidewalks, crosswalks, shoulders with room to walk, traffic signals, and crossing guards. Both roadways, used by heavy trucks transporting materials from nearby quarries, also have many blind curves and limited lighting. Parents criticized the Paterson school district when it decided to stop bussing almost 500 students, who lived within 2.5 miles of the Passaic County Technical Institute, in the 2017-18 school year, citing safety concerns. Paterson school officials cut courtesy busing to save $930,000 during a budget crunch. Passaic County Technical Institute has been paying for the busing of non-remote students since then. Melanie Lipomanis, attorney for the Passaic County Technical Institute, last week, said the vocational school plans to file what’s called an “exception” with the New Jersey Department of Education. 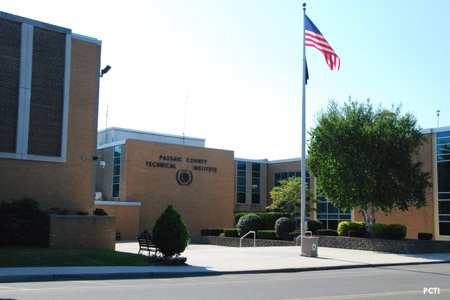 Passaic County Technical Institute was given 13 days from the decision to file an exception or appeal to the commissioner of education to reject the administrative law judge’s decision. Lipomanis said Passaic County Technical Institute is seeking an extension to file an exception. The case also involves Manchester Regional High School District which serves North Haledon, Haledon, and Prospect Park. Altogether, the Passaic County Technical Institute has been shouldering the transportation costs for 747 students. Many of the students affected by the bussing cuts come from low-income households. Their parents lack resources to provide transportation. By denying busing to non-remote students, Manchester and Paterson, are denying their students access to the county vocational school as required by state law, argued Passaic County Technical Institute in the case. Paterson school district has provided transportation to both remote and non-remote students enrolled at the vocational school since 1970. Passaic County Technical Institute was founded in Paterson and later moved to Wayne. To the Paterson parent that criticizing the Paterson Public School District you are directing the criticism to the wrong party, Paterson should not be responsible. I will suggest you protest to the Passaic freeholders and the Pcti body . They are all probably at one of those fancy functions now . That the funding source right there within that group. The lawyers should try a reach out to the state of New Jersey Dept of Ed as the state must provide education, if transportation is problem for our kids not going to school I think the state is the best payer. Lesbo Shafer doing a bad job. What else is new?